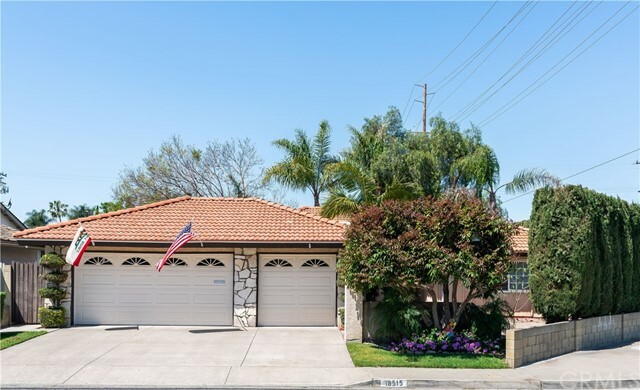 All Fountain Valley homes currently listed for sale in Fountain Valley as of 04/21/2019 are shown below. You can change the search criteria at any time by pressing the 'Change Search' button below. 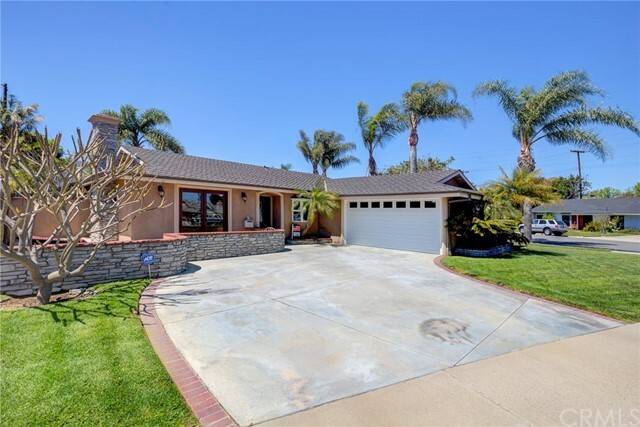 "Tucked away on a quiet cul-de-sac, in a highly desired, Four Seasons neighborhood of Fountain Valley, this exquisite, remodeled home offers 4 bedrooms 3.5 baths and over 3,300 sqft. of living space. The large 7,600 sqft. lot, offers custom landscaping, a gated dog run, large gated backyard with grassy play area and resort style heated pool-with slide, jumping rock and jacuzzi. 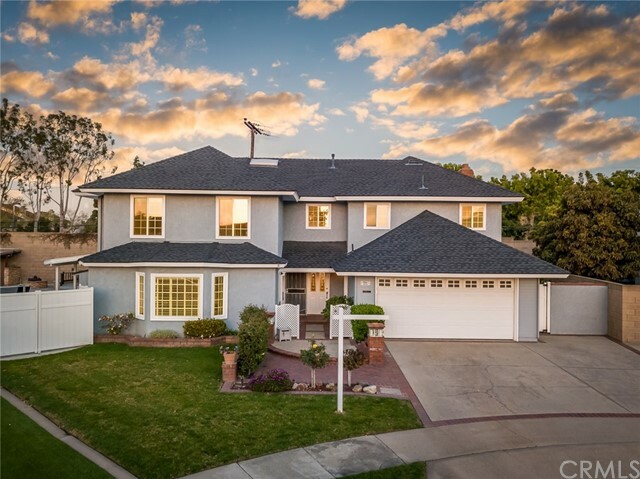 The spacious and bright master suite is complete with a large executive master bath, a walk in closet and tranquil views"
"GORGEOUS REMODELED AND EXPANDED Green Valley Home. This is it! FANTASTIC Home and Location! 6 bedrooms AND 3 full baths, Including a Guest Bedroom and Full Bath Downstairs. No Neighbors Backing--Massive Greenbelt Directly Behind the Home. Very close to the Neighborhood Pool & Park. Freshly painted interior, brand new carpet, recessed led lighting, ceiling fans throughout, crown molding, plantation shutters, NEW a/c and heater. Also, d cor switches, satin finish door knobs t/o. The kitchen"
"Complete and beautiful remodel for this Greenbrook home. This is the Spacemaker 1 with 3 car garage, 6 Bedroom, 4 1/2 bathroom, 3 car garage home features a downstairs master bedroom suite, plus 2 additional master bedrooms upstairs. Gourmet kitchen has granite countertops, stainless appliances, double oven, breakfast counter area. Kitchen looks onto the beautiful backyard with flag stone style concrete powers for beauty and easy maintenance. The Master bedroom has separate custom shower and soa"
"Rare Beauty found in Fountain Valley s Devonwood Estates. 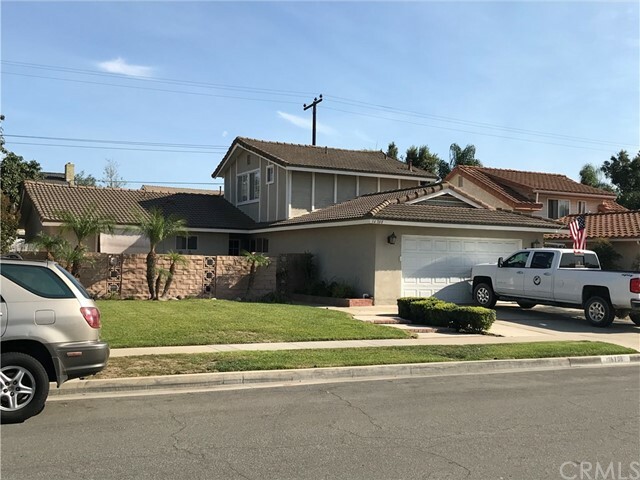 This spacious single story 4 bedroom 3 bathroom has fresh paint throughout, fully upgraded over sized modern kitchen with ample storage and new windows. The entryway, hallways, kitchen and family room feature pecan hardwood floors. 12 ft Vaulted ceilings add to the already sizable living areas. The brand new sliding glass doors in the family room provides an abundance of natural light. The custom built in fireplace gives th"
"Beautiful Stratford Park home that offers a gorgeous remodel & upgrades in the last 2 years. 3 car garage with built in storage & custom pull down ladder for additional storage. 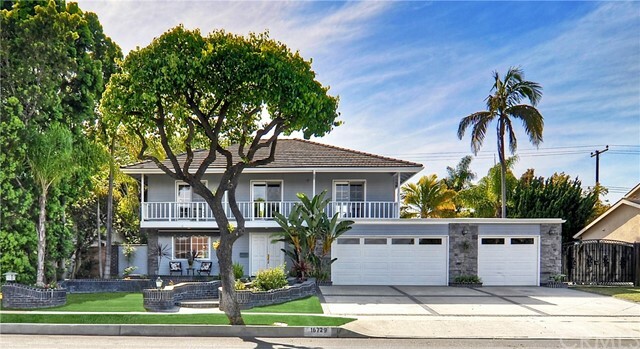 This sought-after neighborhood, bordering Huntington Beach, steps to the new neighborhood park. Not only are you in one of the best school districts but you are just minutes from the beach! Custom entryway shows off great natural light through two large windows off the dining and living room. 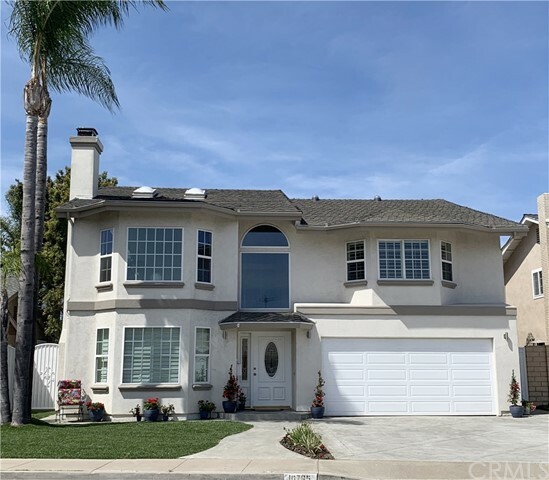 New windows, along with whit"
"Beautiful upgraded home is located at desired area of South FV * 5 bedrooms, 3 baths plus bonus room of 220 sqft approx. in the backyard with separate entrance * Double entry door, open floor layout * Marble kitchen island, upgraded stainless steel appliances * Reccessed LED lighting fixtures and shiny wood lamination floor thorough out * Romantic Master bedroom on the first floor * Highly upgraded bathrooms * Beautiful swimming pool & spa with family BBQ which is perfect for entertainment * Gre"
"MAGNIFICENT , upgraded home in a cul- de sac location .This 5 bedroom , 3 bath home has it all: upgraded kitchen with Granite counter top, large family room with glass gas fireplace, extra large living room,upgraded bathrooms, new carpet in bedrooms, wood flooring in family, living room and formal dining room. Tile in entryway, kitchen and bathrooms.Very large yard with a beautiful pool . Pool has three waterfalls, covered pool equipments , built in natural gas BBQ. fire pit, covered patio and a"
"Over $300K in Luxury Upgrades! This Entertainer's Dream Home w/RV Access & Extra Long 3-Car Garage is 1 Block from Top-Rated Plavan Elementary School & Mile Square Park! This Gorgeous Home has New Custom Interior Paint, 2009 added Central A/C & Replaced Furnace, Dual Pane Windows Throughout, Recessed Lighting in Living Rm & Kitchen, Indoor Laundry, Smooth Ceilings, Stainless Steel Appliances w/Microwave. 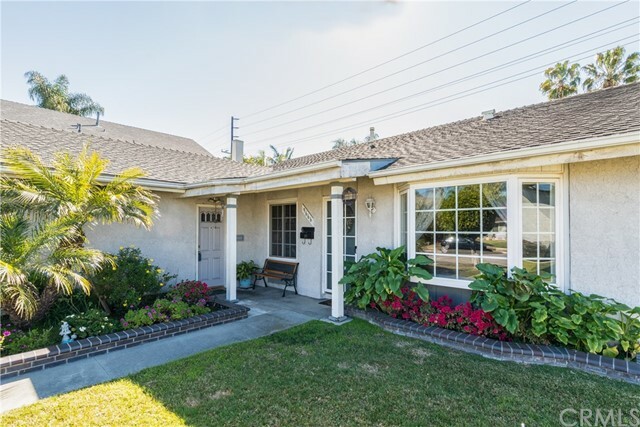 Light & Bright Family Rm has Custom Brick-Accented Gas/Wood Burning Fireplace & 2 Large Fren"
"CHARMING SINGLE STORY HOME IN FOUNTAIN VALLEY. 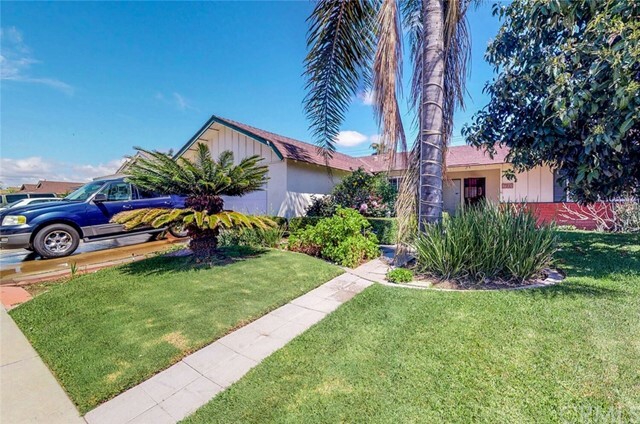 CORNER LOT HOME ON A CULT DE SAC LOCATION. BEAUTIFUL FRONT COURTYARD LEADS TO DOUBLE DOOR ENTRY. THIS WELL KEPT HOME HAS FOUR BEDROOMS, TWO & A HALF BATHS, HUGE THREE CAR GARAGE (WITH SINK, CABINETS & SHELVES). TWO SKYLIGHTS TO BRIGHTEN UP FOYER & OFFICE/ROOM. LARGE LIVING ROOM WITH FIREPLACE. RECESS LIGHTING. FAMILY KITCHEN TO DINING AREA, FAMILY ROOM/READING ROOM TO BACK YARD AND PATIO. MASTER SUITE FEATURES CEILING FAN, WALK-IN CLOSET FOR HER AND"
"Gorgeous executive style home with extra large pool is perfect for your morning swim. This 5 bedroom plus a loft home is a rare find in this area. Your family will enjoy this wonderful home with it's open floor plan, and extra large living room with stone fireplace. The kitchen is open to the dining room with beautiful high open beamed ceilings and a second fire place. The downstairs master, second bedroom which is large enough to be a second master and extra large bedrooms plus a loft makes thi"
"Centrally located just minutes to Miles Square Park. 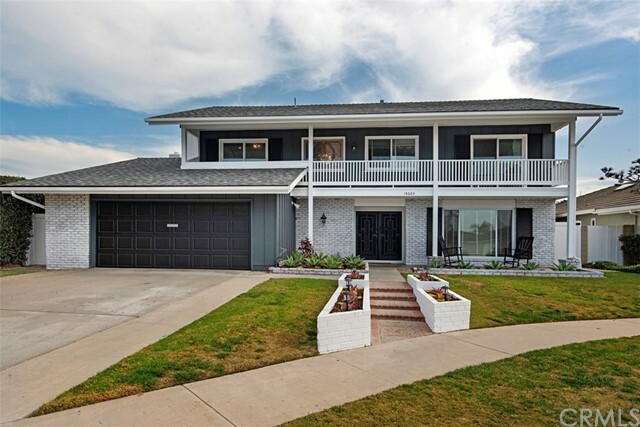 This Immaculate 2-story Modern Luxury home in the heart of Fountain Valley. 4bedrooms 3 baths, (2 Master Suites), 2bedrooms/2baths 1st floor, 2bedrooms/1 bath 2nd floor. All 3 bathrooms are elegantly designed with custom frameless shower doors. Wrought iron double door entryway, custom wrought iron staircase. Contemporary Living Room Designs w/ modern fireplace ~open concept~ open to a gourmet kitchen with 9-foot long kitchen island, high-end "
"*** Gorgeous SPANISH STYLE HOUSE unique in the area *** Built in 2008 *** This Unique house with approx. 7,320 sq ft lote, and a living space of approx. 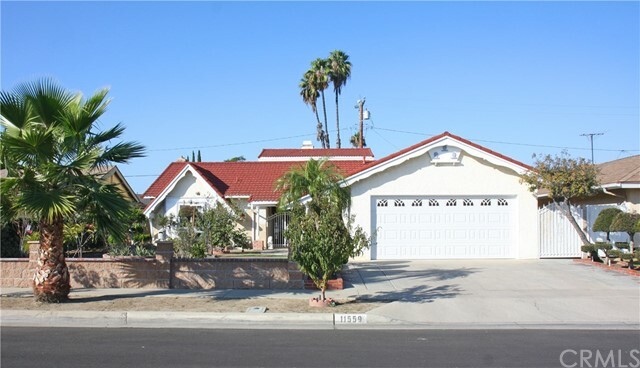 2,556 sq ft, it is located in peace and quiet neighborhood, easy to access from 405 FWY and 22 FWY. 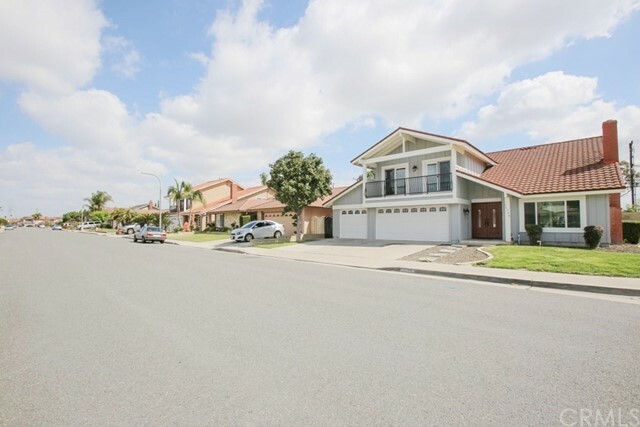 It is near to parks, schools, Fountain Valley Recreation Center Sport Park, restaurants, shopping centers, and at 20 min driving to the Beach. 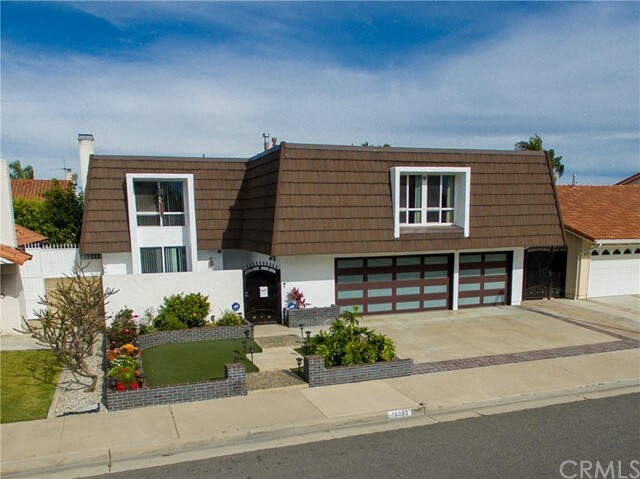 This Beautiful house was built in 2008, with an open staircase, well illuminated, kitchen with central i"
"Highly Sought-After 4 Bedrm, 2.5 Bath, 3-Car Garage Stratford Park Home, Steps to Neighborhood Park, Close to Beach, and in the BEST Award-Winning School Zone! It Boasts Numerous High-End Upgrades Done in the Last 5 Years, Including All Dual Pane Windows/Sliders, Custom Silhouette-Style Window Coverings, Custom Solid Wood w/Beveled Glass Double Entry Doors, Beautiful Hardwood Flooring & Walls in the Grand Foyer, Hardwood Staircase w/Hand-Crafted Wood Railings & Banister, All 3 Bathrms are Upgrad"
"RARE OPPORTUNITY! Location! location! location! 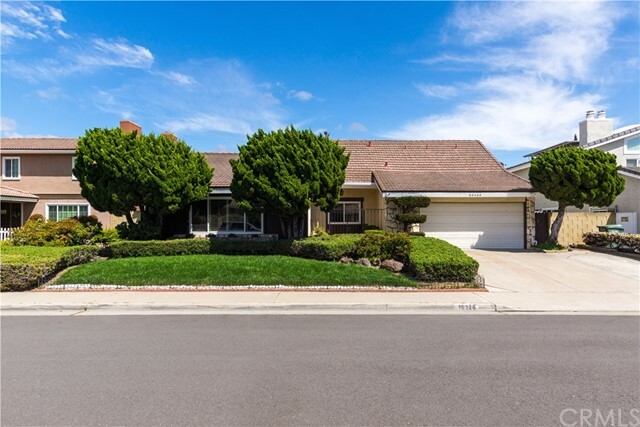 Location Within Walking Distance to Mile Square, Mile Square Golf Course, Fountain Valley Hospital, No HOA or Mello Roos. Walking Distance to Award Winning Elementary and Middle Schools and Near Mile Square Park. 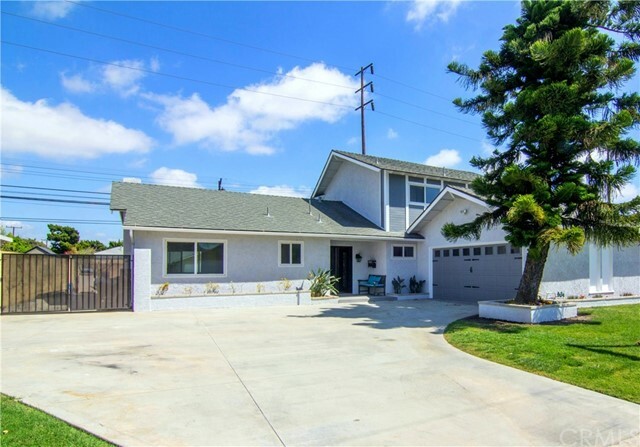 Located Near Shopping Centers, Parks, Schools and The 405 Freeway. 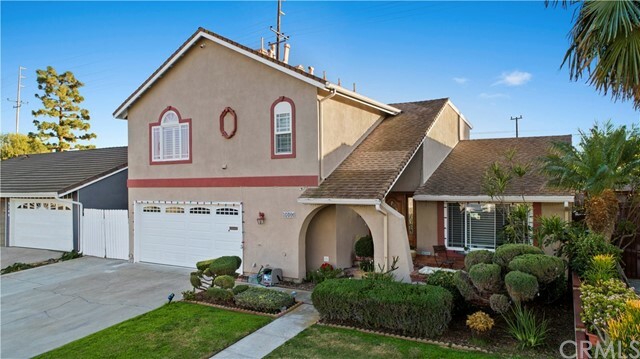 Located in The Heart of Fountain Valley, Close by Church and Market. 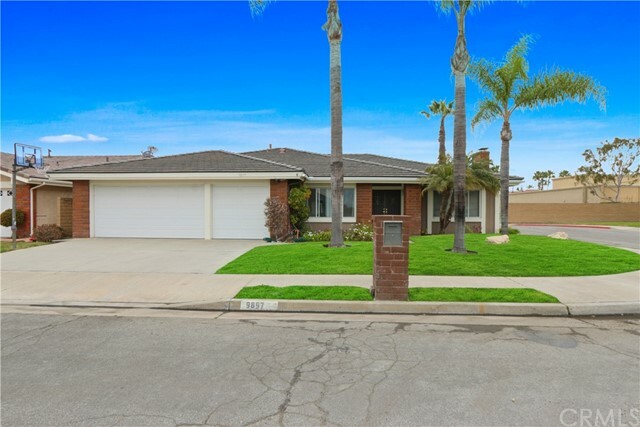 Spacious One Story 5-bedroom (additional one-bedroom with permitted), 3-bathroom home boasts 2,060 sf o"
"Beautiful home in Fountain Valley, Completely remodeled like a brand new home, Walk to Award School District & Parks, near Mile Square Park, Center of Little Saigon, minutes to Huntington Beach. 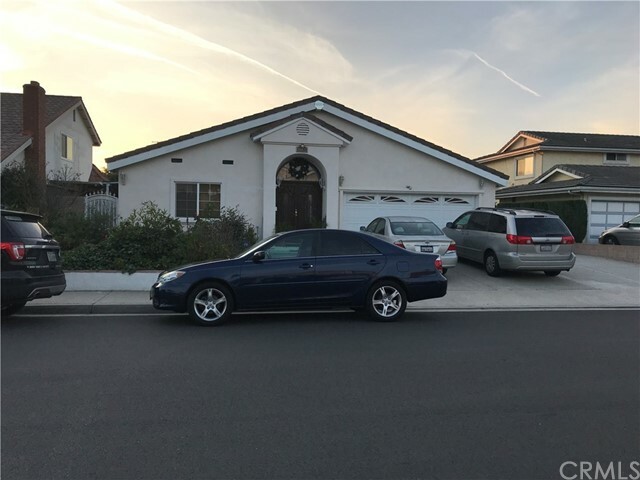 Corner lot, 4 bedroom, 3 baths ( 1 bed and 1 bath down stair), and a big loft can be a 5th bedroom, 3 car garage with direct access, new garage doors, tile roof. Double door entry to a large living room with fireplace, high ceiling. New paint, New Floor, New windows & window shutters, new design kitchen "
"BEAUTIFULLY APPOINTED CENTURY PARK HOME WITH TWO MASTER SUITES ( ONE MASTER UPSTAIRS & ONE MASTER DOWNSTAIRS) PLUS BONUS ROOM UPSTAIRS & SEPARATE 200 SQ. FT.(APPROX) OFFICE/WORKSHOP/HOBBY ROOM NEXT TO BACK PATIO. GORGEOUS GOURMET KITCHEN WITH CHERRYWOOD CABINETS, GRANITE COUNTERS, HIGH END STAINLESS APPLICANCES, PANTRY, BUILT-IN HUTCH WITH WINE RACK, SLIDER OUT TO FREE STANDING OFFICE & EXPANSIVE PATIO INCLUDING FOUNTAIN IDEAL FOR ENTERTAINING & BARBEQUES, POSSIBLE RV ACCESS WITH RV GATE ON SIDE"
"This highly upgraded single story sits on an oversized interior tract corner lot and has only 1 directly adjacent neighbor. As soon as you enter, you will notice the attention to detail. From the faux painted walls to the travertine floors and base molding. The formal living room has a fireplace, bar, and French doors leading to the front patio. The large kitchen has new stainless-steel appliances, granite counter tops and back splash, and tons of storage. 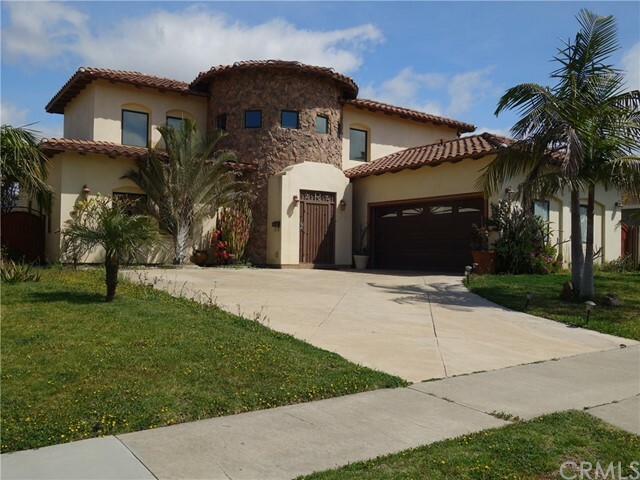 The master suite enjoys a large walk-in"
"Beautiful 2 story home in Classic Fountain Valley Neighborhood. Homes features total 4 bedroom, with one bedroom and bath downstairs, 3 car garage with pass through door to back yard. Entry steps have been removed to level with hallway for easy access. Fenced courtyard offers soaring pillars and great landscaping. Newer double door entry with beveled etched glass, newer exterior paint, all dual pane windows and sliders throughout. 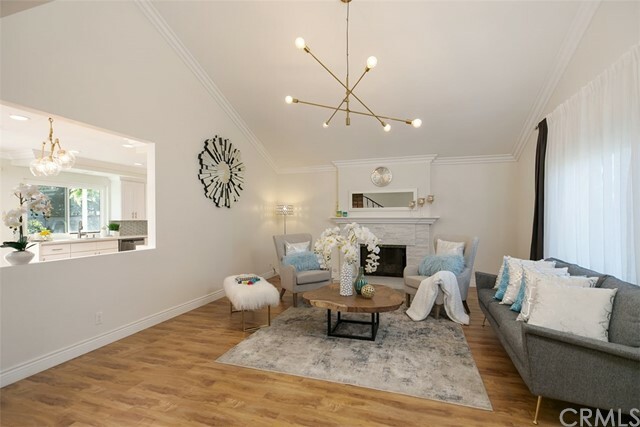 Living room features double pane bay windows and cathedral ceilin"
"Beautifully Upgraded & Expanded 5 Bedrm, 3 Bath Home w/2 Master Suites - 1 Up & 1 Down. It Features Wood Laminate & Marble Flooring, Dual Pane French-Style Windows, Extensive Crown Molding, Designer Paint, Many Skylights, Recessed Lighting, 2 Marble Fireplaces, Raised Panel Doors, Ceiling Fans & More! Front Yard & Backyard are Filled with Exotic Fruit Trees. 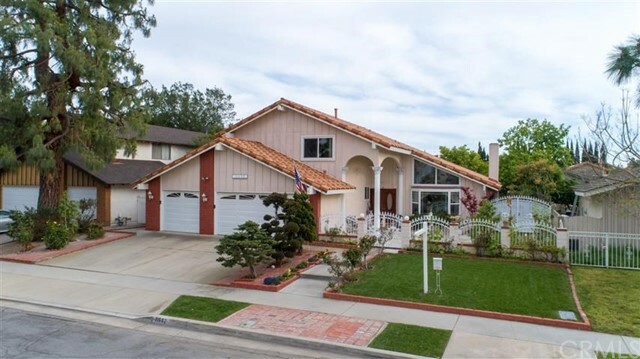 Gated Entryway, Double Front Doors of Solid Wood & Leaded Beveled Glass, Wide Tiled Foyer w/Chandelier Lighting, Formal Living Rm w/Marble "
"JUST REDUCED!Single Story Charmer located in the highly sought after neighborhood of Fountain Valley steps away from Plavan Elementary School! Has recently been upgraded with new flooring, new quartz kitchen counters, new kitchen appliances, new kitchen pantry, refinished kitchen cabinets, new paint in the entire interior and exterior, recessed lightings, new fixtures, doors, double paned windows throughout, newly landscaped with fresh Cypress trees and sod; new hardscaping with gorgeous gray pa"
"GORGEOUS HOME!!!... 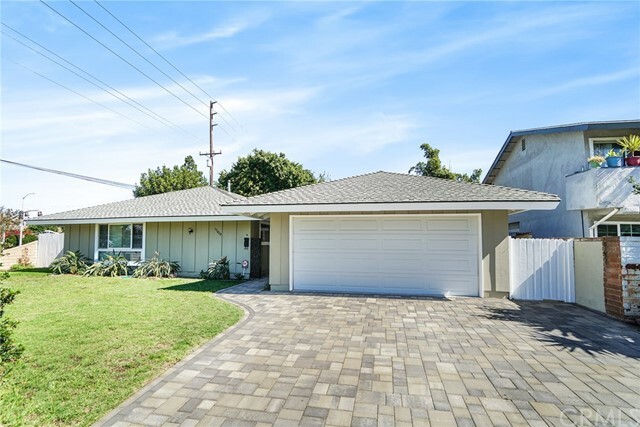 with spectacular fully remodeled 4 bedrooms and 3 bathrooms, 1644 living sqft, in a highly desirable neighborhood of Fountain Valley. 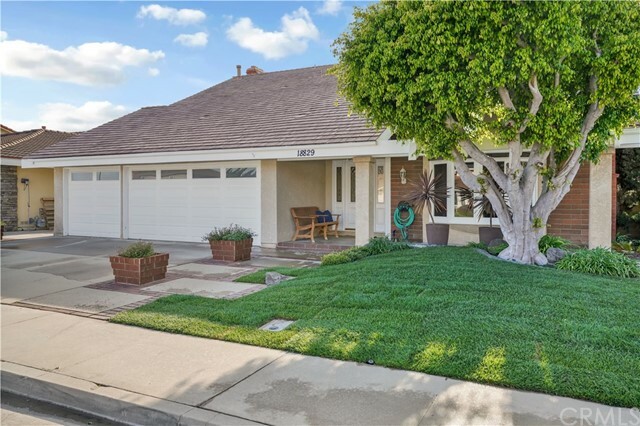 Plus, its BIG LOT Size of 7200 sqft meets City of Fountain Valley requirement to add an additional unit (ADU) in the backyard.... Custom modern double-doors entry lead to spacious living room with vaulted high ceiling, stylist modern kitchen with gorgeous Quartz countertop, and designed craftsmanship cabinets. 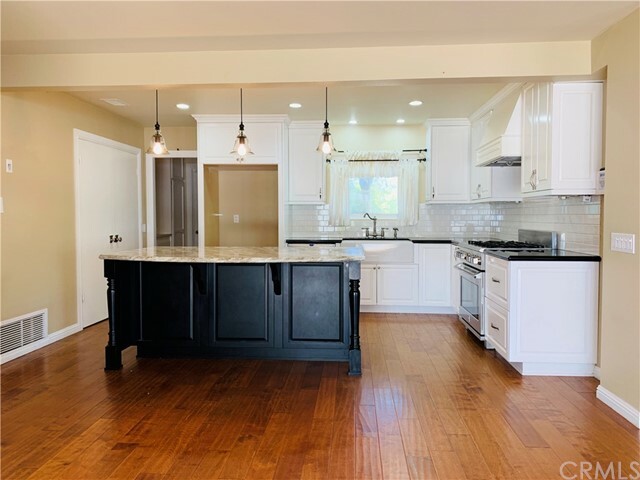 Remodeled bathrooms, modern recess"
"Extremely rare opportunity to own a beautifully charming home in the highly desired Talbert Village Community. 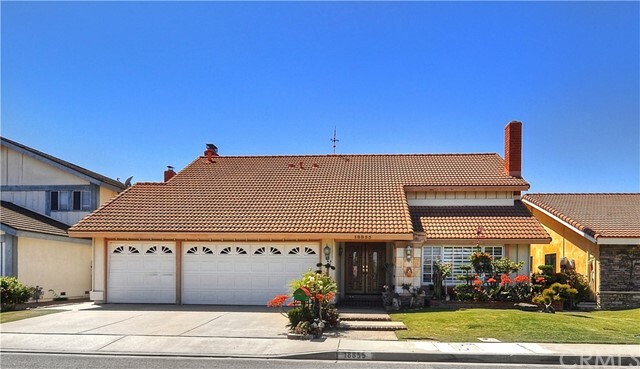 This Ranch style home features a large floor-plan boasting 4 bedrooms and 2 bathrooms. As you approach the home, you cant help but notice the elegant front yard landscaping that welcomes you in. The large kitchen offers plenty of space for cooking, featuring updated Tile Flooring, Counter tops, dual stainless steel ovens, and custom cook-top. The kitchen opens up to an over-sized breakf"
"Wake up in this beautiful three bedroom home and head right to the backyard to sip your morning cup of coffee and catching up on the latest news. Once you have gobbled up your cereal at the breakfast bar you notice through the ceiling skylights that it is the perfect sunny day to take a less than five mile excursion to Huntington Beach. After a long morning you park in the two car garage and take a nap sitting in your Lazy boy in the living room. In the evening your guests arrive to have dinner "